A night of comedy about all things health and medicine. Contrary to popular belief (and lazy comedy writing) laughter isn’t the best medicine, but it will take your mind off the fact we’re all falling apart at the seams. 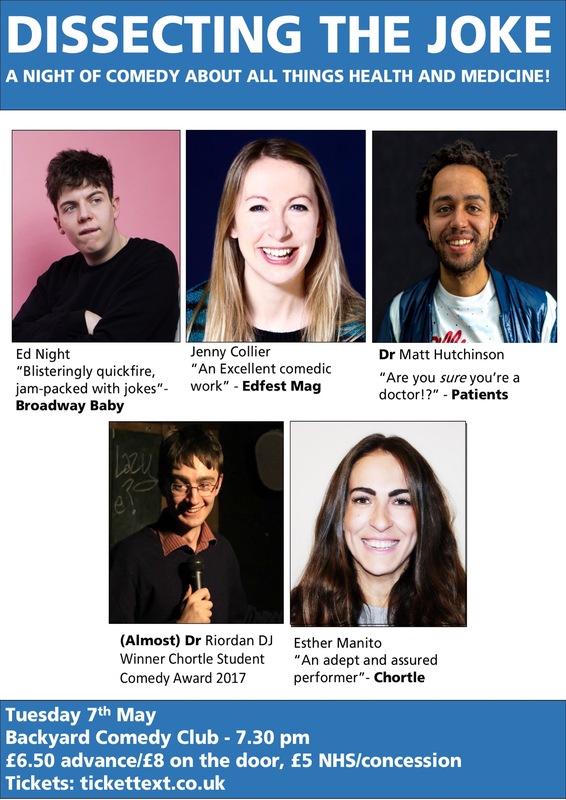 An amazing lineup of comedians and doctors tell you everything you did (and didn’t) want to know about staying alive in the NHS! The lineup is Jenny Collier, Ed Night, Esther Manito, Riordan DJ. Matt is a doctor – this has made his parents very proud. He’s also a stand up comedian, this has made his parents very confused.